For those female enthusiasts, who want to take on elegant styles and spectacular attires made with fine vogue, this Black Leather Womens Jacket is a perfect grab for them as it is made precisely for them to make their persona dominate to others. 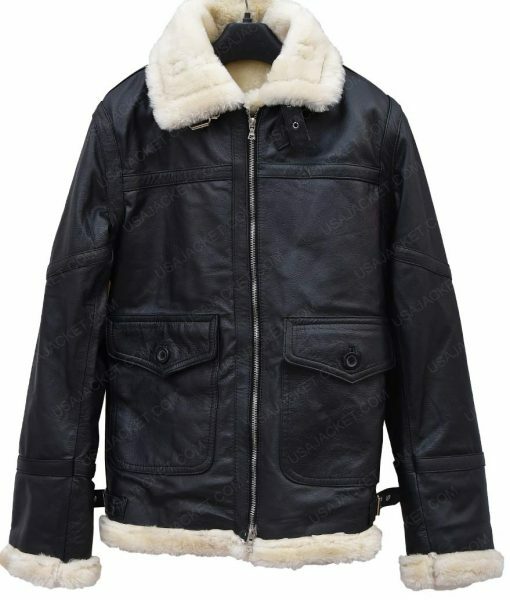 It is especially made with real genuine leather material which gives it a lustrous refined outlook. This Womens Ivory Shearling Black Jacket has been crafted with unique style collar and amalgamated with full front zipper conclusion beneath. Two big flap pockets are also given on both waist sides so that you can keep your holding within. My order had just arrived a couple of minutes back and it came so neatly packed that it impressed me a lot. I never expected this website to be so professional and careful about their packaging of a fur jacket. It was the ideal size and smelt nice as well. Firstly, I’m satisfied with how the item looked similar to the picture. It’s just an inch short for me but it doesn’t matter so much. I just wanted to get a item that is described. It was a big misunderstanding from my end because I confidently ordered a size bigger than what i wore. However, it was a couple of inches loose around my torso but the quality was just as perfect as I expected it after seeing the images. Answered by the admin	Please leave an Email at sales@usajacket.com along with your Order ID and request for size change. Thanks! Answered by the admin	The model is wearing Size Small. It is her normal size. Answered by the admin	The jacket will be made according to your selected size. 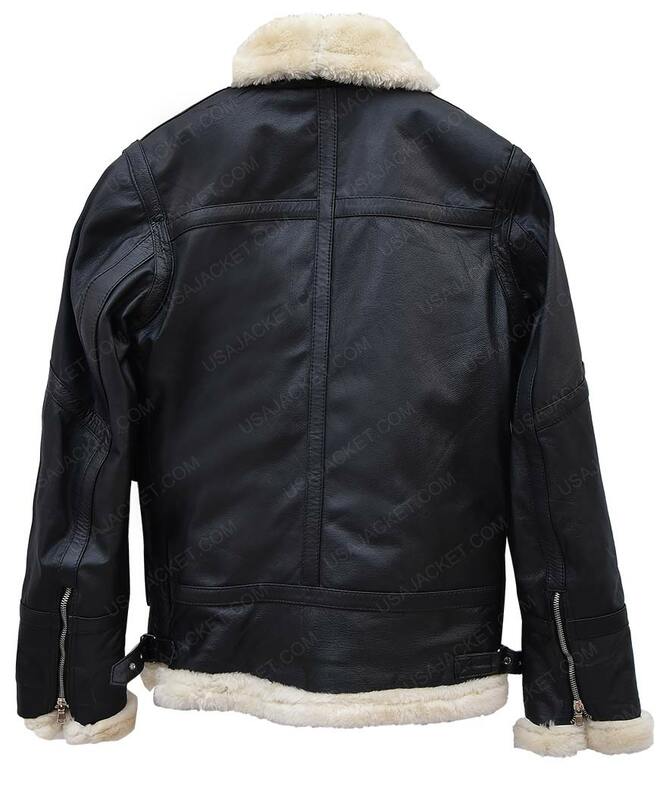 Answered by the admin	The jacket is manufactured after collecting the best quality leather across the world including Italy, Australia and Asia. After collecting the leather, the jacket is prepared in our warehouses across the world, mostly in United States and Asia. 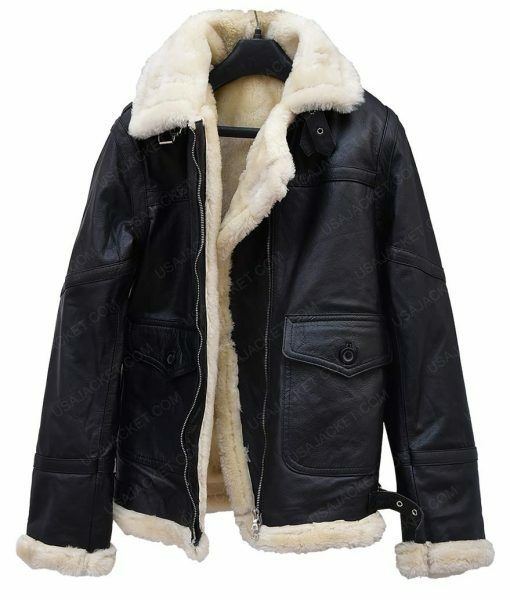 The jacket is made of Genuine Leather and Fur. 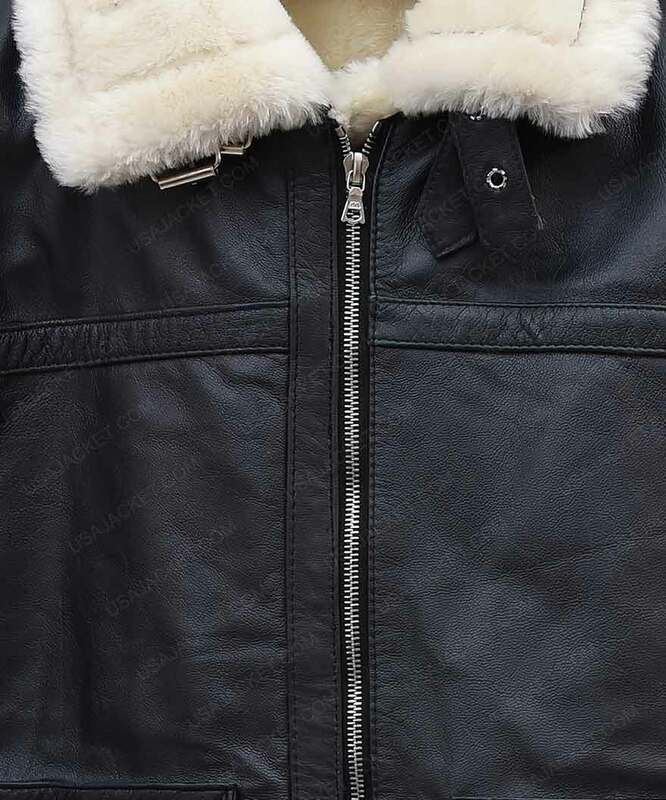 Answered by the admin	The jacket has complete shearling lining inside.